Villa Octavius is an exclusive retreat nestled amongst the hills above Nidri on the beautiful Ionian island of Lefkada. 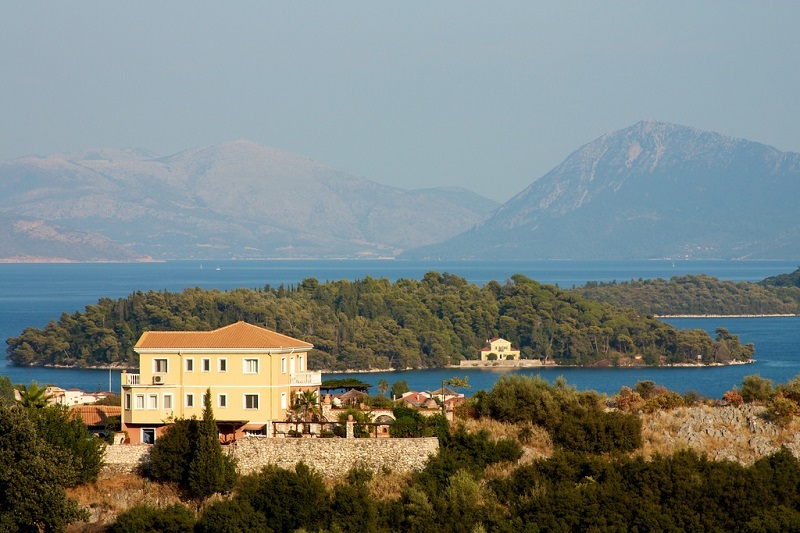 Its location offers spectacular panoramic views to the islands of Skorpios and Meganisi. Every aspect of the villa and its grounds has been expertly designed to provide guests with the ultimate in luxury and comfort during their stay. A 5 minute drive brings you to the local harbour town of Nidri where shops, banks, restaurants and all amenities are available. The Greek island of Lefkada (Lefkas) has wonderful beaches of amazing beauty which are renowned worldwide. Crystal clear emerald waters lap white sandy beaches, with those on the west and south coasts featuring craggy rocks towering above. To the east are views across the glistening sea towards the stunning islands of Skorpios, Meganisi and the majestic mountains of mainland Greece beyond. 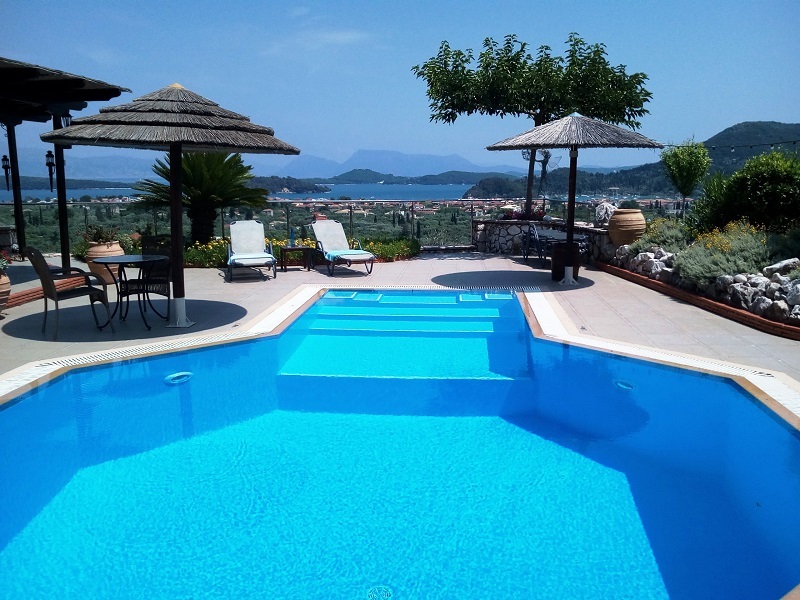 A visit to the magnificent island of Lefkada will afford you a memorable holiday and a stay in Villa Octavius, the ultimate Greek luxury villa, will make it truly unforgettable. If you are looking for that genuinely exceptional venue for your wedding and reception, we're very pleased to work in conjunction with Lefkas Weddings, who offer a personal, bespoke and complete service to make your special day absolutely perfect.